The Florida Track Club is thankful the UF Orthopaedics and Sports Medicine Institute for sponsoring many of the FTC activities including providing state of the are meeting facilities. The UF Orthopaedics and Sports Medicine Insititute (OSMI) treats a diverse nature of conditions. 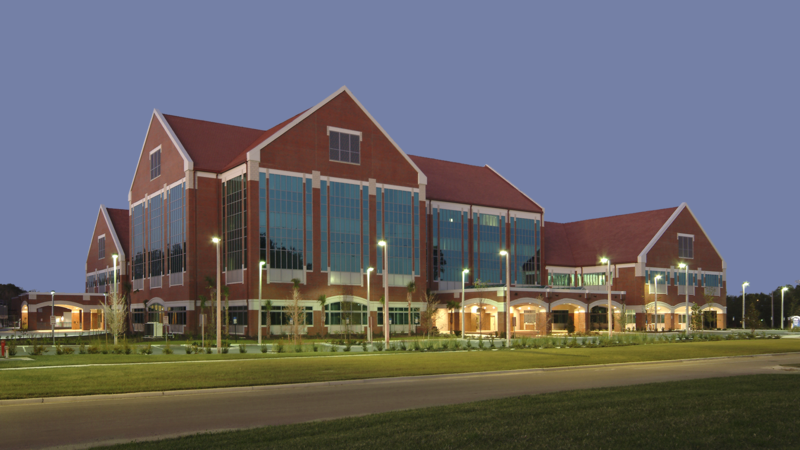 The primary facility is located in Gainesville, Florida, adjacent to the west side of the University of Florida campus. Shands Rehab at OSMI is involved in many cutting edge research projects in the area of sports medicine. The therapists at Shands collaborate with the University of Florida Department of Orthopedics and Department of Physical Therapy on several projects funded by the NFL, National Institute of Health, Regeneration Technology Inc and Omeros. These projects enable patients to be involved in the latest technology and treatments and lead to more effective and quicker recoveries. The clinical research areas include plyometric training after ACL reconstruction, eccentric muscle training following Meniscectomy, fear avoidance after ACL reconstruction and in low back pain and the effect of graded exercise exposure with sub-acute low back pain. Therapists at OSMI have presented at CSM (Combined Sections Meeting/APTA), have published papers, or have been asked to lecture on sport specific topics.